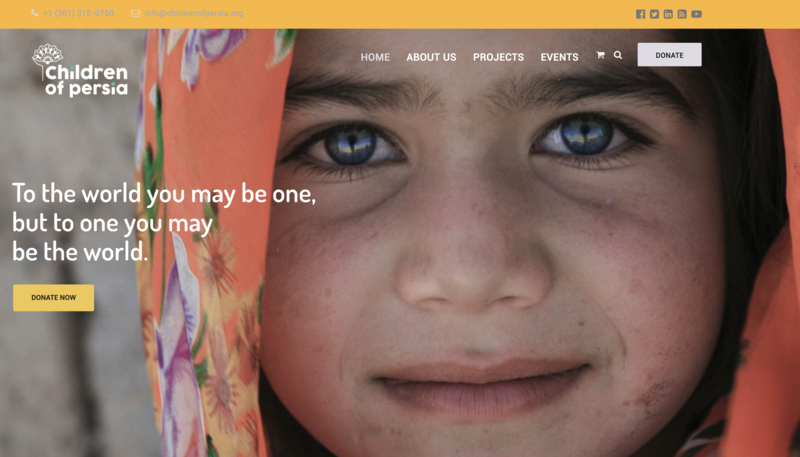 Children of Persia is proud to announce the unveiling of our new and updated website. In conjunction with our social media channels, we hope that our new site will help us connect with our constituent communities and effectively communicate our message. We hope you will join us in our cause, and help us in our mission: changing lives, one child at a time. Children of Persia is a registered charitable organization governed by an all-volunteer Board of Directors and Officers with an IRS 501(c)(3) tax-exempt status in US and OFAC Licenses for its Iran projects. We are an independent organization with no affiliation to any political, religious, or secular groups. We are a member of the Guide Star Charity organizations and are registered to do fundraising in Maryland, Virginia, District of Columbia, Florida, California, and Texas.